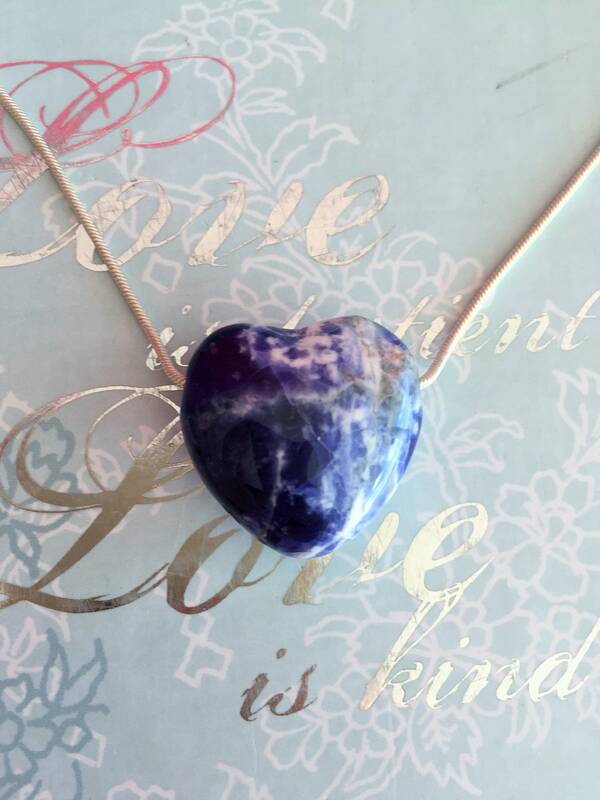 Receive one high quality Sodalite Heart Crystal Pendant with a necklace. Blue Sodalite Natural Stones brings order and calmness to the mind. It encourages rational thought, objectivity, truth and intuition, along with emotional balance while relaxing anxiety. It enhances self-esteem, self-acceptance and self-trust. Sodalite brings emotional balance and calms panic attacks. It enhances self-esteem, self-acceptance and self-trust. 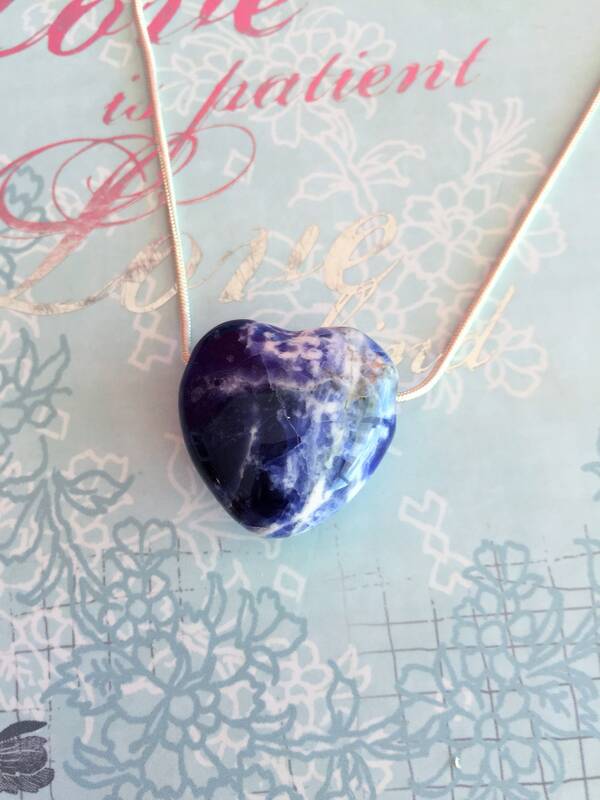 Sodalite is a great addition to any crystal healing collection because Sodalite is one of the best stones for the throat chakra and the mind. You will just love the deep blue color, and calming energy. Perfect for meditation, stress relief, increasing intuition and spiritual perception. The necklace is absolutely beautiful! I can’t wait to get one for my mom soon! Gorgeous! Pendant is just as described and even more lovely in person. More than happy with this purchase! Thank you!